for a wide range of waterfront services. 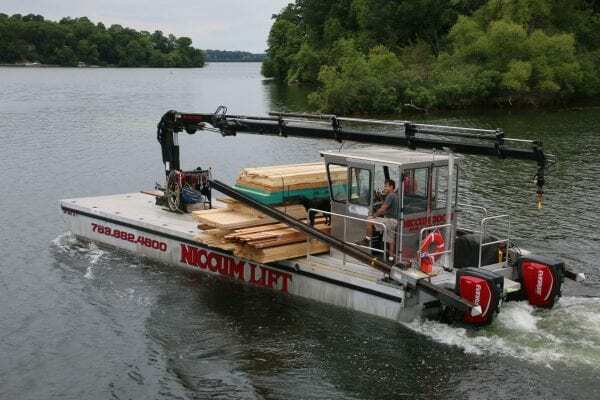 Our familiarity with area lakes, along with the extra efficiency of our fleet of barges and Niccum Lift services allow us to take on a wide range of water-based projects. What can we help you with today? 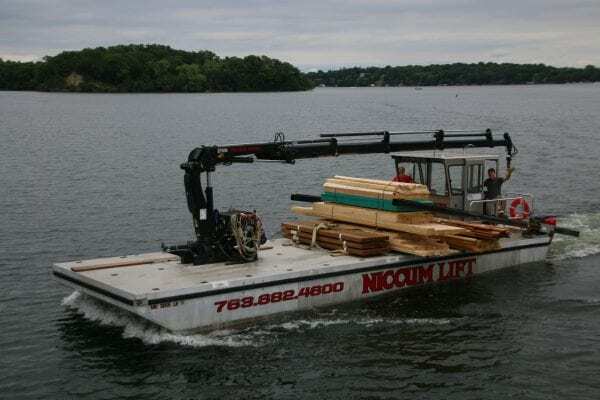 In 2013 NICCUM Docks commissioned construction of an industry exclusive barge design. Built with an Aluminum Hull for speed and efficiency, our new 500 HP barge can quickly move from shore to shore with minimal wake impact. 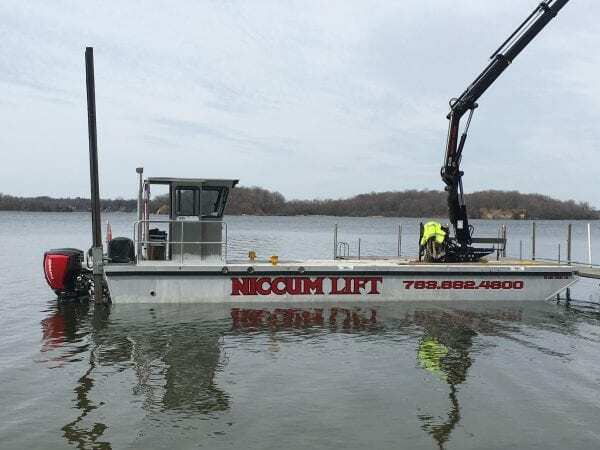 A shallow draft, combined with 40 feet of reach from the integrated 11 Ton crane allows us to access your shoreline to carefully lift your dock equipment and boat lift out of the water without damaging your water bottom. We then gently place it on shore and out of sight during the offseason. Both spring installation and fall dock removal services can be complemented with same day installation and removal of boat lifts so that you can get to boating sooner in the spring and enjoy the clean uncluttered placement of your dock equipment in the winter months. Contact us today at 763.682.4600 for more information.